Our doctors’ affiliations with partner providers and memberships in professional organizations are an important part of providing you the very latest in dentistry. Our practice is constantly updating our education and technology to deliver the best in dental care, both for the beauty of your smile and your overall health. Our team utilizes the industry’s most advanced diagnostic and treatment technologies from the following providers. Invisalign uses a series of aligners that are custom-made for you and virtually invisible. Dr. Adams is a Certified Invisalign provider. The Myobrace System TM combines a removable appliance with myofunctional exercises to address the oral habits that cause crooked teeth. Different from conventional braces, the Damon System is a quick, safe and comfortable way of getting a straighter, fuller smile. Dr. Adams is a Certified Damon System Braces provider. OralDNA Labs helps medical and dental professionals use salivary diagnostics to obtain precise evidence about periodontal disease and oral HPV. CariFree Cavity Management is a system of assessment and treatment products that determines a patient’s risk of getting cavities and fights the bacteria that can cause decay. 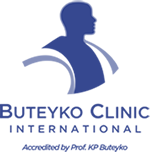 Buteyko breathing is integrated in our practice and consists of a series of breathing exercises specifically designed to promote nasal breathing and improved health. Velscope oral cancer screening uses a hand-held device that emits a harmless blue light into the mouth and detects changes in the oral tissues that can indicate cancer. 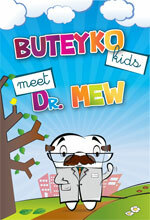 Click here for a child friendly site that teaches the importance of nasal breathing to promote good health.